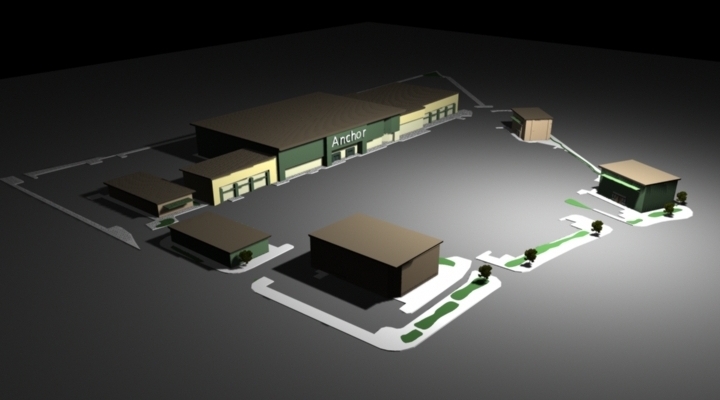 parking and easy access. 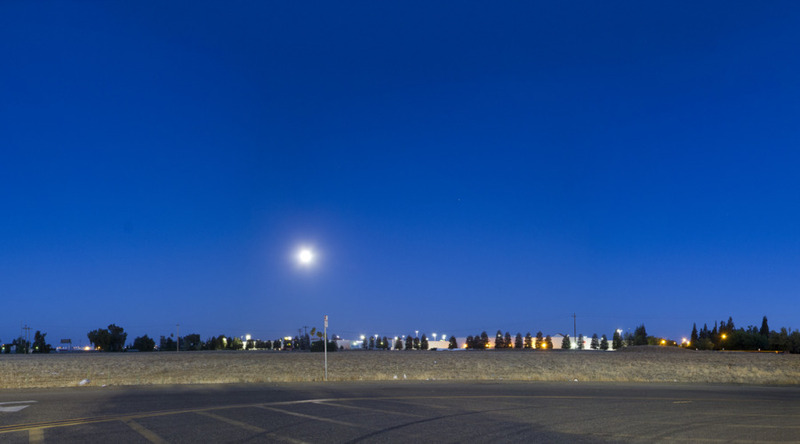 Immediate proximity to the highly-trafficked freeway creates incredible exposure and visibility, at over 65,000 cars per day. 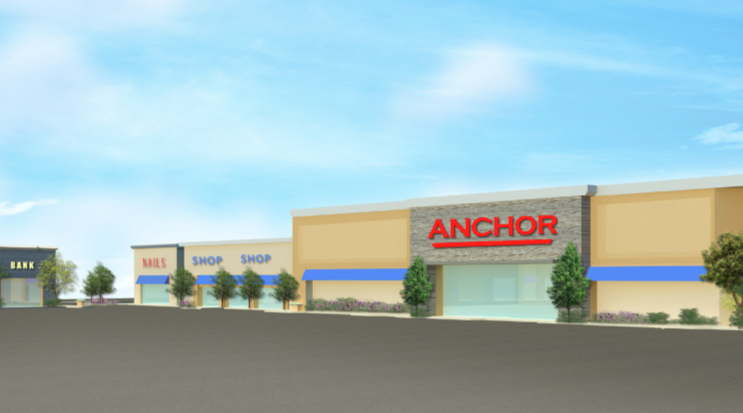 With a population of 68,000 + in a 3-mile radius, the proposed 20-acre shopping center will capitalize upon the surrounding density. 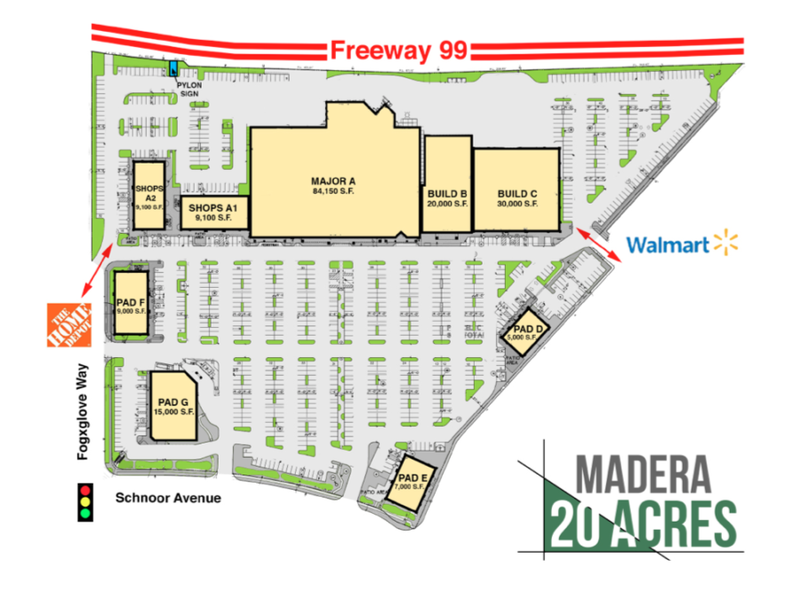 The center is zoned C-2 community commercial retail for the City of Madera and is fully entitled. 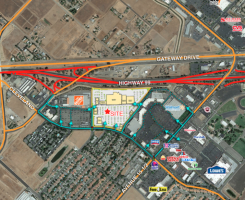 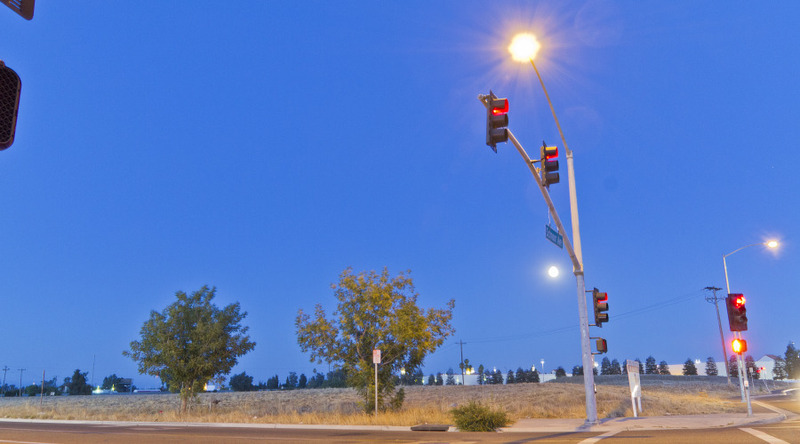 The site is located at the epicenter of Madera growth, and cross easements between shopping centers anchored by The Home Depot and Walmart will draw a strong consumer base. 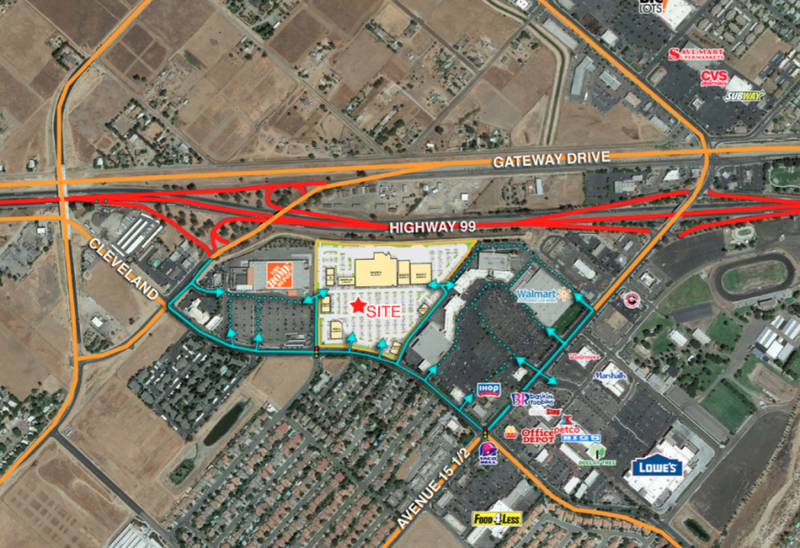 Freeway access to the site is provided by Avenue 16 and Cleveland Avenue. 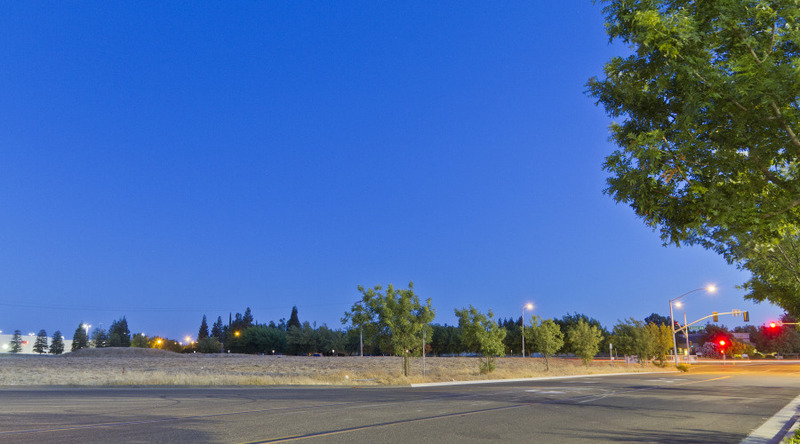 Depot, Walmart, Marshalls, Gamestop, Walgreens, The Children’s Place, Baskin Robbins, Big 5 Sporting Goods, Petco, Panda Express, Dollar Tree, Cool Hand Luke’s Steakhouse, Starbucks, IHOP, Save Mart, Subway, McDonalds, Office Depot, Food 4 Less and Taco Bell, among others. 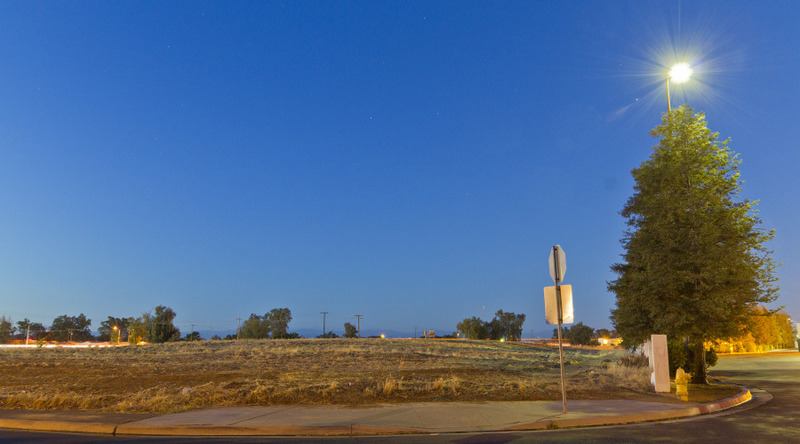 Madera has been named the sixth fastest growing city in California and is surrounded by new home developments that are currently in planning and development. 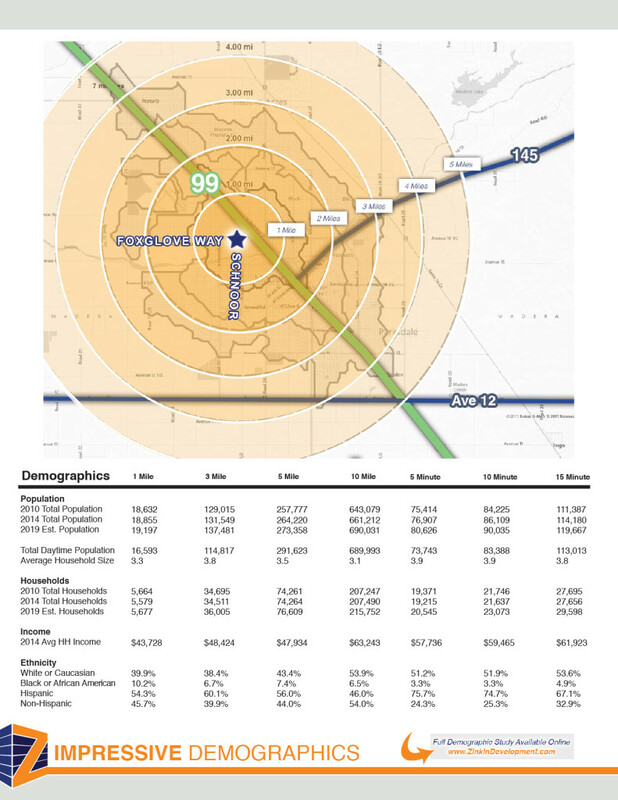 According to a recent report by the California Department of Finance, eastern Madera County’s explosive growth is ranked the third fastest growing County in the state. 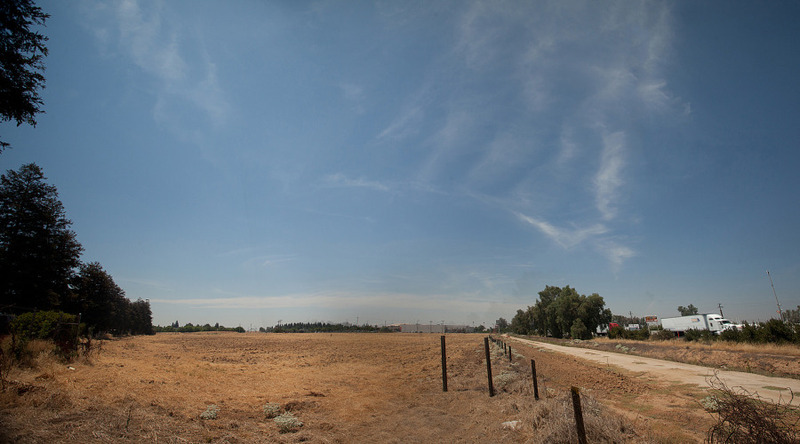 Located in the San Joaquin Valley, Madera is a principal city in the MSA that includes all cities within Madera County and the City of Fresno. 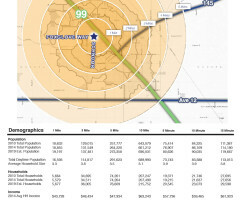 Freeway 99 connects Madera to neighboring destinations which has resulted in the region’s explosive growth.